Workers in Mexico have the longest work week. Japanese workers take the least vacation time. 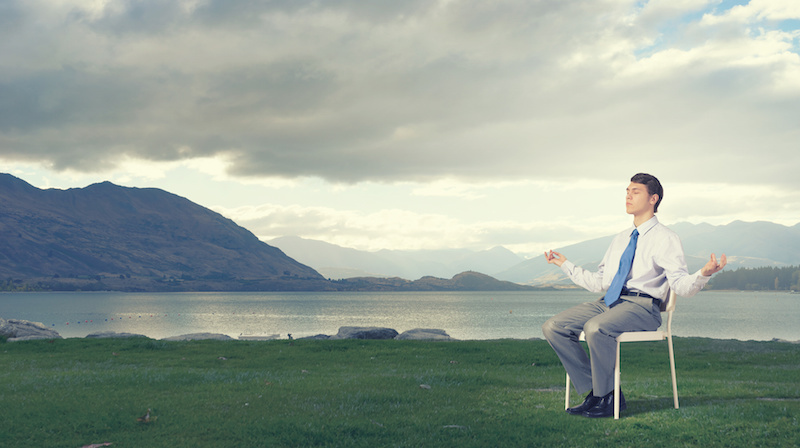 If there were a Workplace Olympics, which country would take home the gold medal for productivity? Who works the fastest, or finishes the most work? 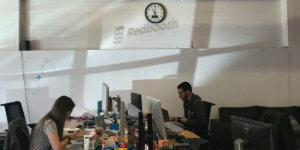 For this study, we worked with data content firm Priceonomics to analyze anonymized Redbooth data, comparing task productivity across countries. 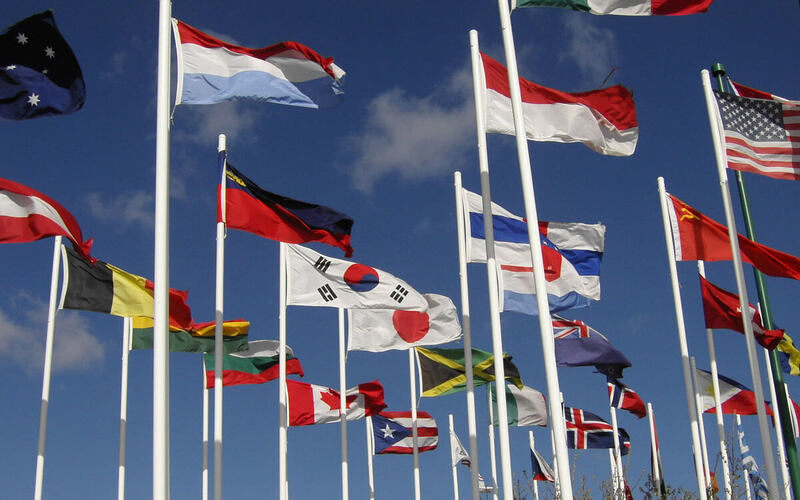 We examined the outcomes of hundreds of thousands of tasks created and completed by countries around the world. 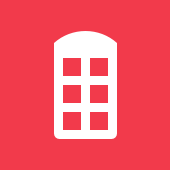 We selected the top 40 countries with the most active Redbooth users both in number of accounts and number of tasks (500,000 minimum). We looked at the last three years of productivity, capturing completed (and uncompleted) tasks from all types of industries. Peru works the fastest, finishing 64% of tasks within a week and averaging 10.2 days to finish a task. 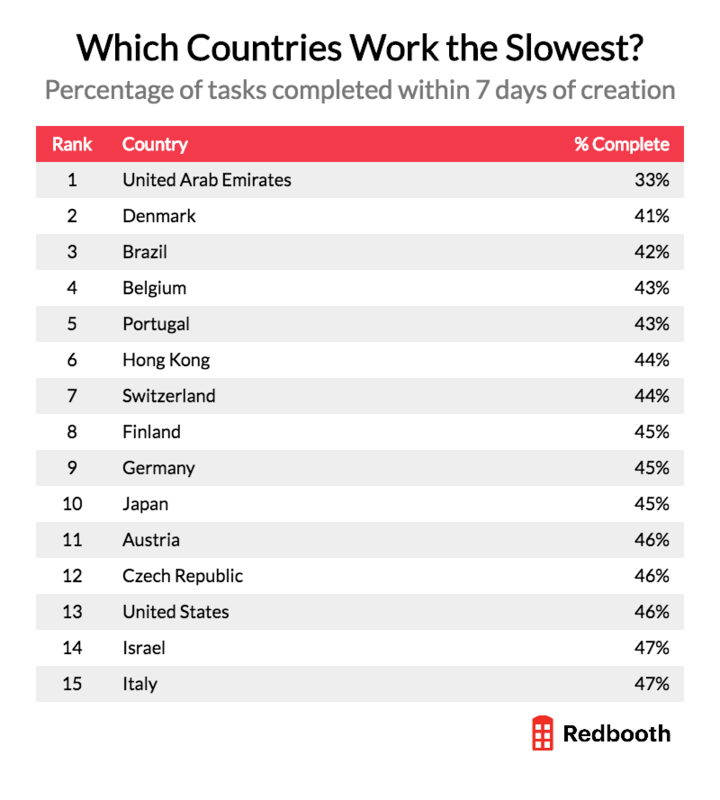 The United Arab Emirates works the slowest, finishing just 33% of tasks within a week and averaging 23.8 days to finish a task. The Czech Republic has the highest task completion rate, finishing 84.5% of total tasks, closely followed by Finland, China and Israel. 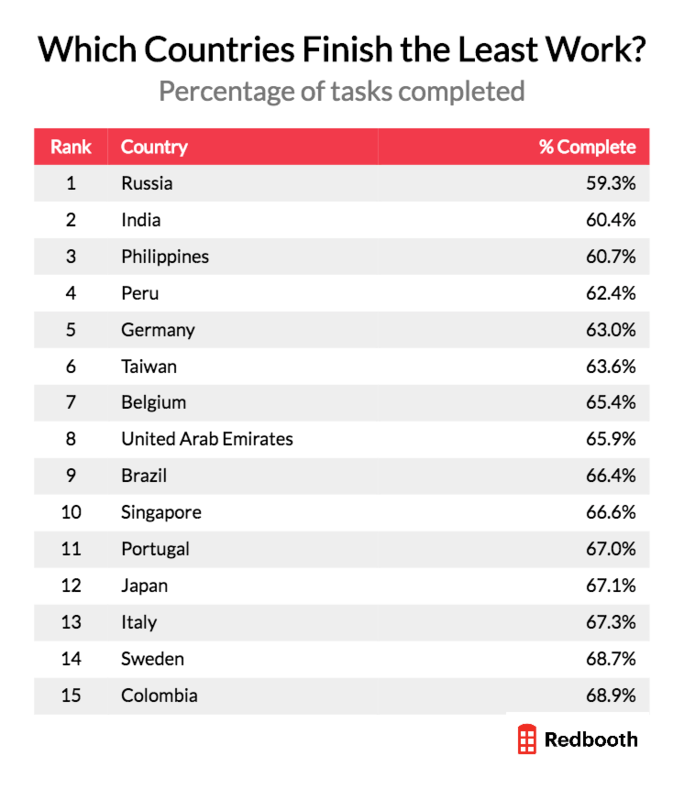 Russia has the lowest task completion rate, finishing just 59.3% of all tasks, followed by India, the Philippines and Peru. The countries that work the fastest tend to finish the fewest tasks, while countries with average working paces ended up finishing the largest percentage of their work. China is one of the few countries to exhibit fast work and a high completion rate. First, let’s look at how long it takes each country to finish individual tasks. Peru finishes tasks the soonest, averaging just 10.2 days to check off their to-dos. Sweden and Indonesia follow, averaging 13.0 and 13.3 days to complete tasks. The United Arab Emirates takes the longest to finish tasks, averaging 23.8 days – more than 3 weeks – to complete their to-dos. Germany and Denmark follow, averaging 20.2 and 19.6 days, respectively. According to the OECD, Germany and Denmark have the shortest workweek (26.2 and 27.1 hours), which may be inhibiting their ability to get work done quickly. Let’s plot that onto a map to identify any regional trends. Countries with quick workers are spread out all over the world, with Peru, Sweden and Indonesia about as far apart as is possible for any three countries. Click To TweetCountries with quick workers are spread out all over the world, with Peru, Sweden and Indonesia about as far apart as is possible for any three countries. Despite the spread of the top ranking countries, it would appear that Western Europe (Portugal to Germany) tends to finish tasks on the slower side, without a single country cracking the top ten. While this gives a good picture of average country performance, what would the results be if we zoomed in on a shorter time frame? Which countries get a “head start” by getting the most work done in the first week? 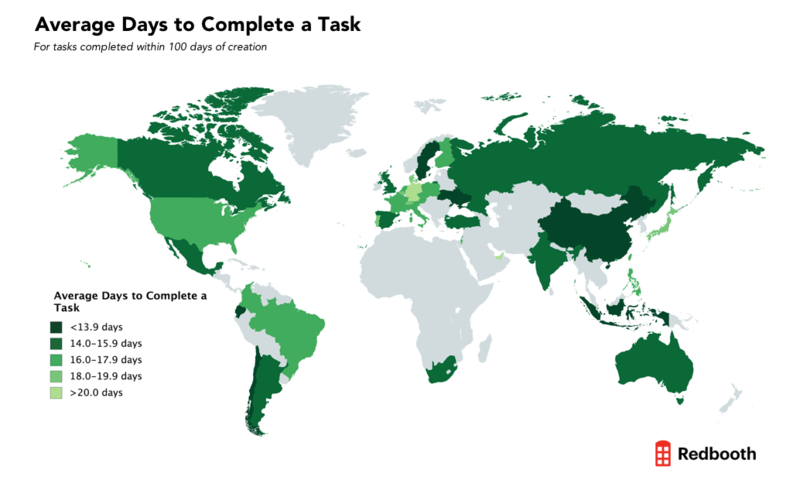 Let’s look at the percentage of tasks completed within 7 days of creation by country. Peru still leads the pack, finishing nearly two thirds of tasks within the first week. The rankings are similar to the average days to complete a task rankings, with the top ten consisting of the same ten countries. The biggest surprise is Colombia, who ranked 27th at 17.2 days to complete individual tasks, now ranking 14th for completing 50% of tasks within a week. It may be that Colombia has a subset of longer projects extending their average time to complete a task despite finishing the first half within a week. On the flip side, the United Arab Emirates still leads the slowest countries, completing just one third of tasks within a week. That’s nearly 10% fewer than the next slowest country, Denmark, who finished 41% within a week. 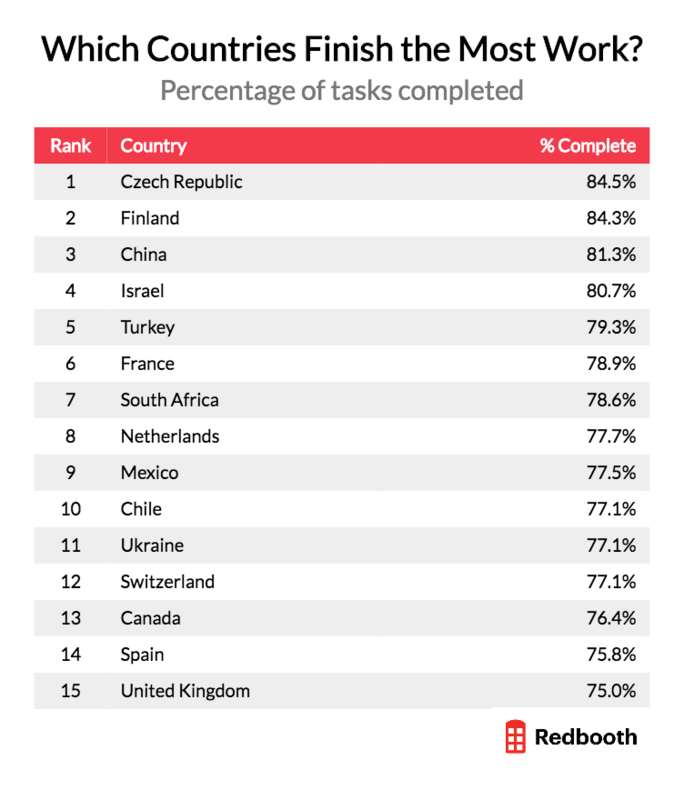 The ranking closely mirrors the “average days to complete a task” ranking, with the exception of the Czech Republic and Austria, who rose from the middle of the pack (at 16.5 and 16.2 days to complete a task) to 11th and 12th for completing 46% of tasks within week. While speed is an asset, the ultimate goal of creating a to-do list of tasks is to check them all off. Which countries have the best track record for actually completing tasks they create? The Czech Republic has finished the most tasks of any country on our list – completing nearly 85% of all created tasks. Despite an average score for days to complete tasks (16.2) and a low score for percentage completed in seven days (46%), the Czech Republic comes through and gets the job done at the highest rate. Finland follows closely at 84.4% and has a similar story, with an middling score for average days to finish tasks and low ranking for tasks finished with a week. 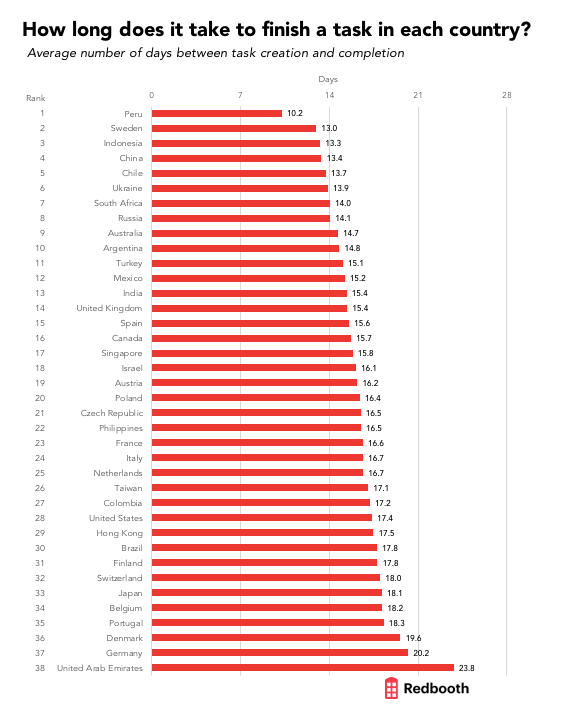 China, ranking third for finishing 81.3% of all tasks, has a different story. Rather than having an average pace and slow start in the first week, China ranked in the top five for both. China holds the title for fastest and most completed work. Russia ranks first for the least percentage of work completed, finishing fewer than 60% of created tasks. Despite a high score for average days to complete a task (14.1 days) and for percentage completed in seven days, Russia peters out and doesn’t follow through on 40% of tasks. 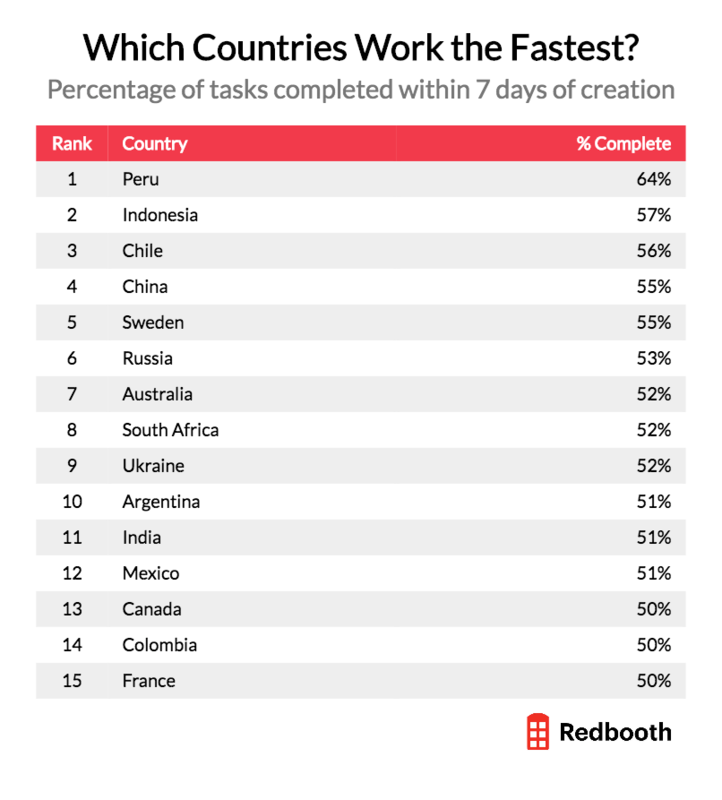 Peru is similar, topping the rankings for speed but only completing 62.4% of tasks. In the Workplace Olympics, Peru, the Czech Republic and China take home gold medals. According to our data set, Peru finishes tasks the fastest, while the United Arab Emirates takes the longest to get work done. The Czech Republic finishes the most work, while Russia leaves the most to-dos unchecked. China balances speed and results to finish the most work the most quickly. While this study is based on millions of tasks worked on around the world, there are billions more that get completed on- and off-line each year. These results should be regarded as a peek into the working styles of our world – and not the entire picture. 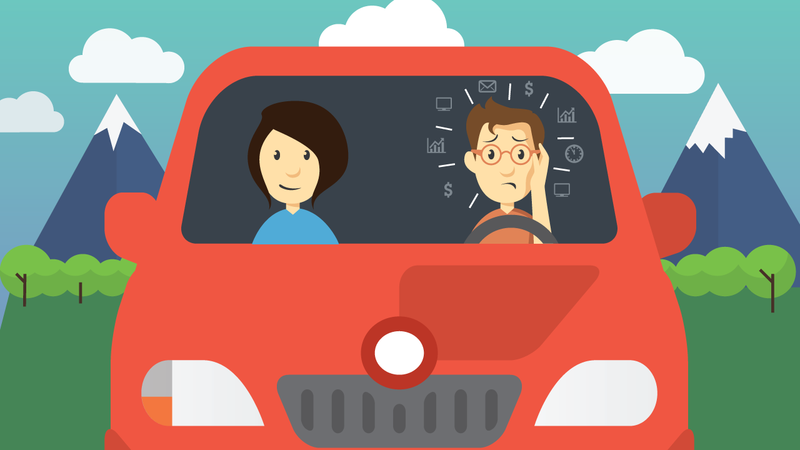 Everybody's Working for the Weekend, But When Do You Actually Get Work Done?